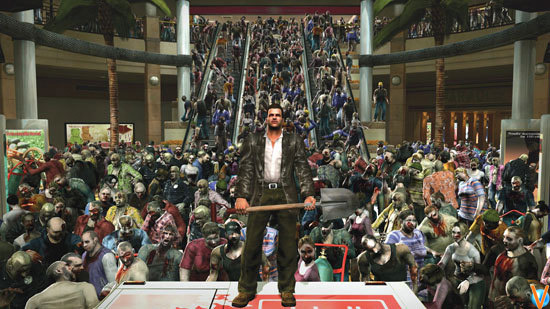 The Zombie Video Game, ‘Dead Rising’ Is Getting the Feature Film Treatment!! I’m sure if you’ve owned a video game console before, you have heard or played ‘Dead Rising‘, the zombie survival video game from Capcom. I know I have, and they were very detailed, frightening, and in depth games. Legendary Pictures and Lorenzo di Bonaventura (‘Transformers‘) are adapting this video game into a feature film, or more so a digital feature with Zach Lipovsky directing. Lipovsky is a vidual effects supervisor on a number of films, most of them being SYFY originals. But he did have his feature film debut recently with ‘Leprechaun Origins‘, and now he is tackling the zombie genre. Legendary Pictures announced the cast yesterday which includes Jesse Metcalfe (John Tucker Must Die), Virginia Madsen (Candyman/Sideways), Dennis Haysbert (24), Meghan Ory (Once Upon a Time), and Keagan Connor Tracy (Battlestar Galactica). So this digital feature will be released on VOD in several places. Depending on where you watch it, you might be able to view it all in one 90-minute film or as an episodic feature. You can find out more information from the good folks over at /FILM, who has an exclusive interview with Lipovsky as they discuss all the details of this fun as hell project. Enjoy. Samuel L. Jackson and John Cusack Reunite for Stephen King’s ‘Cell’!! ‘Left 4 Dead’ Teams Up With ‘Shaun of the Dead’ For a Video Game!!! This entry was posted on Tuesday, September 30th, 2014 at 10:45 am	and is filed under Film, News, Video Games. You can follow any responses to this entry through the RSS 2.0 feed. You can skip to the end and leave a response. Pinging is currently not allowed. « Pierce Brosnan to Lead in Aaron Kaufman’s ‘Urge’!! !